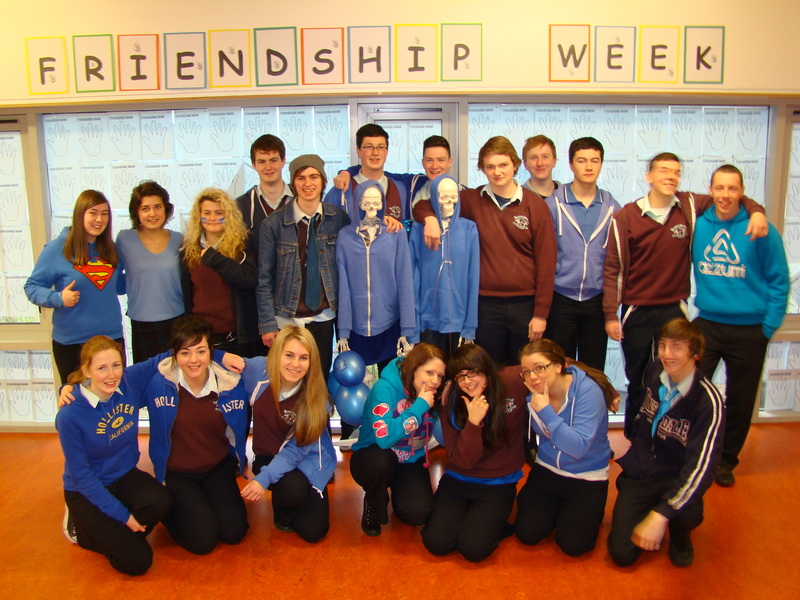 A group of Leaving Cert students photographed enjoying “Friendship Week”. During the week, all teachers and students engaged in talks on Friendship, Bullying and Cyber bullying, Drama presentations, Workshops and Group Work. An information night was held for all parents and on Friday, everyone in the school wore the colour “Blue” to show their support for Friendship and opposition to any form of bullying. « TY Students Raise €1,211.00 for Multiple Sclerosis Ireland.